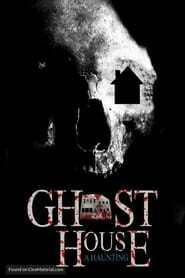 “Ghost House: A Haunting” delves into the depths of a haunt that is far more than residual. Even the living are left questioning if they are alive or dead, after they buy the ticket to take this fantastic thrill ride. On the last tour of Halloween night, a tour group of unsuspecting visitors quickly realize their haunted house experience is more than jump scares and cheap tricks. Cold cases are drug into the spotlight to unearth dark secrets as history repeats itself and the dead refuse to rest in peace.